Over the last year Rhydyfelin Drama Workshop have been devising their story of ‘Footprints in time’ which follows the ups and downs of a woman’s life called Mary The idea started on an untold story quest, which saw Artworks other drama groups Penygraig Youth Theatre and Nurture group along with Rhydyfelin drama workshop coming together to share their stories that were untold. Since the development of the untold story project, the group have attended residencies and carried out research on the different era’s of Mary’s life. The group have visited St Fagins and the Maes-y-felin centre in Rhydyfelin, where they met ladies and gentlemen who had lived through WW2. Footprints in time is a unique theatrical experience where the lines between the performance space, actors and audience are constantly shifting. Audiences will have the opportunity to explore a heart warming story that will excite you as well as make you question the way we view old people today. Come and join us as we take you back into footprints in time. Time is a memory, time is a moment that we will cherish forever, we only get one chance because once you use it, it is gone forever. 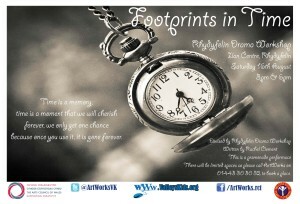 This Saturday ArtWorks Proudly presents Rhydyfelin Drama Workshop in ‘Footprints In Time’. The show will be performed in the Ilan Centre in Rhydyfelin and is a promenade piece meaning tickets are limited. Too avoid disappointment call ArtWorks on 01443 303032. 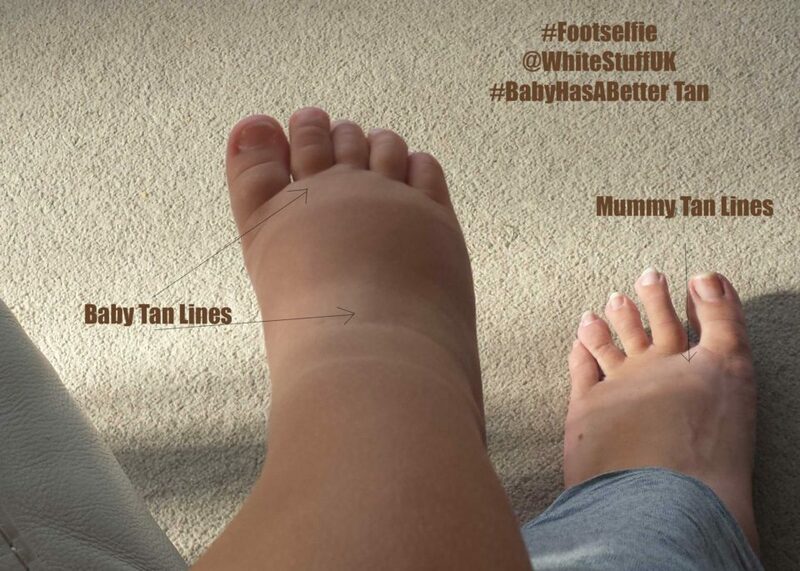 White Stuff Cardiff selected us as their “Charity of the year” this year again and are currently running a “Footie Selfie Competition”. Over the summer months, they are aiming to raise an additional £20,000 to support their excellent work by launching a fun fundraising campaign. It’s called the “footie selfie competition” and they are asking people to pop in to their local WS shop and buy a pair of limited edition flip flops, the proceeds of which go directly to us!!! We’d love to get as many of our supporters as possible involved! When you’re next in Cardiff and you need some summer flops, think White Stuff! including a five course meal at Jamie Oliver’s Fifteen Cornwall, breakfast for four at The Beach Hut and surf lessons at The Extreme Academy. 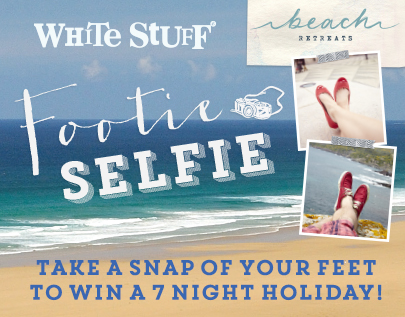 Here’s my #footieselfie! Now where’s yours…..